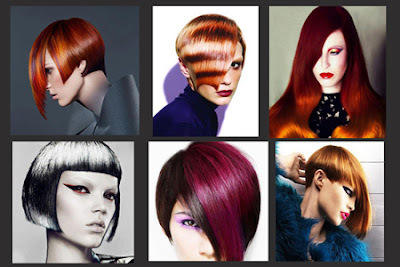 The big hair color story in the 1990's was foil highlighting, used for both dramatic and au natural hair coloring effects. 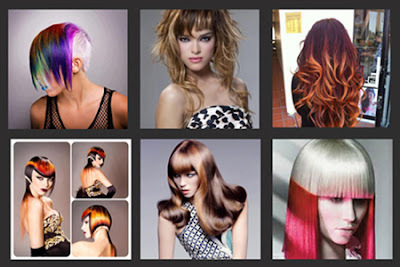 Hair coloring has come a long way from the early days of "streaking, frosting and highlighting". 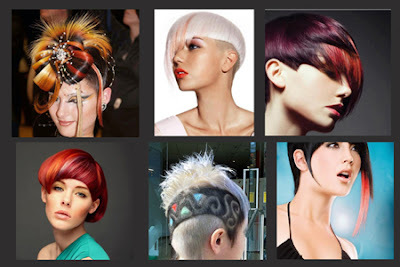 With the growing popularity of hair color hair stylist's today are only limited by their imagination and just how daring their clients feel. 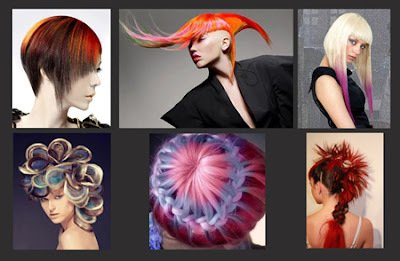 Hair color has evolved into a Living Art Form. 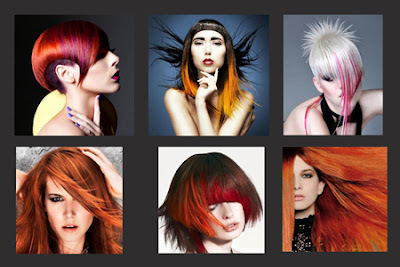 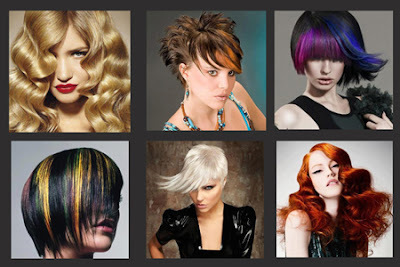 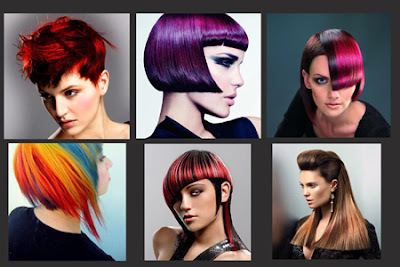 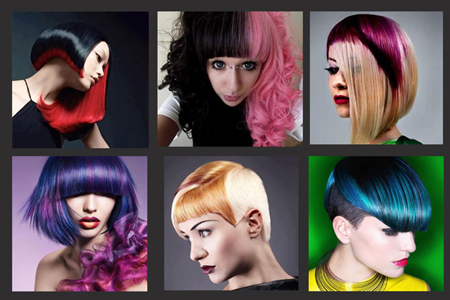 Creative hair colorist’s now add splashes of color to accent styles or a full palette of up to six contrasting shades statically placed for a artistic rainbow effect. 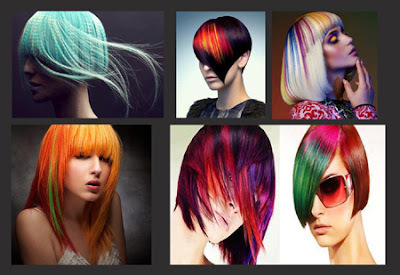 It’s a exciting new world of color and the sky’s the limit; here's a collection of creative hair coloring effects showing up around the globe.